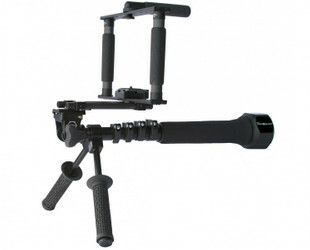 The multifunctional ProShot may be instantly configured into a Shoulder Rig, Monopod, Stabilizer or High-hat, tool free, without removing the camera from the system’s baseplate. Its versatility and functionality offer a wide array of creative uses and set-ups both in studio and on location. Within seconds change-able from one function to another without tools and without taking the camera off the rig. 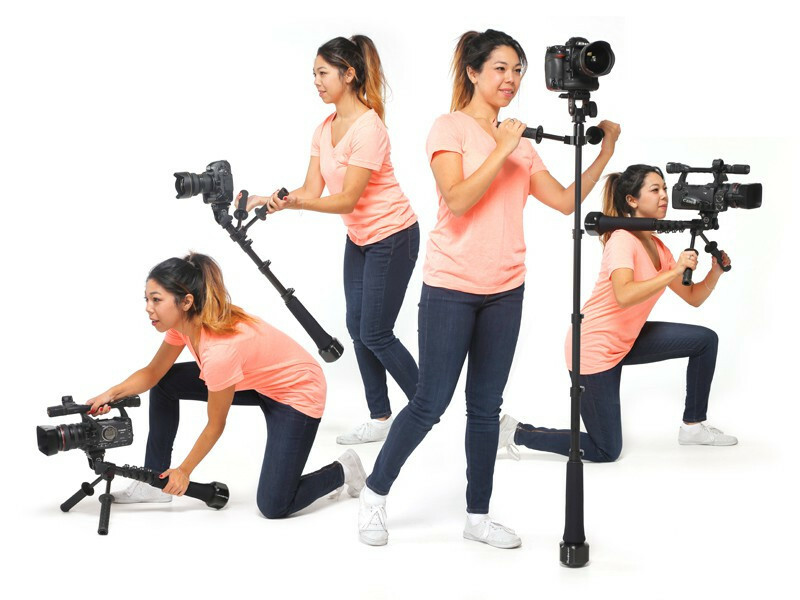 K-Tek, introduces the first, four-in-one rig that cost-effectively answers the support needs for the feature, reality, documentary, commercial, and action sports videographer. 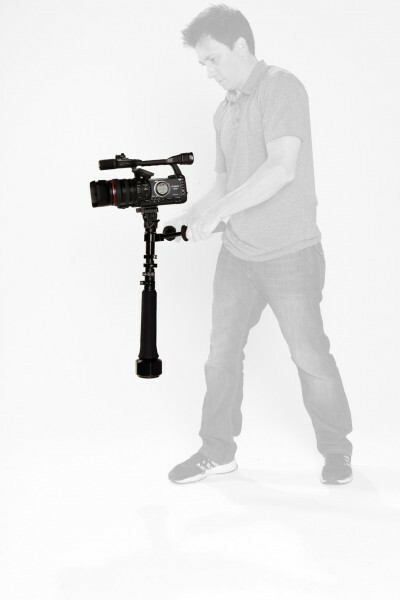 The multifunctional ProShot may be instantly configured into a Shoulder Rig, Monopod, Stabilizer or High-hat, tool free, without removing the camera from the system’s baseplate. Its versatility and functionality offer a wide array of creative uses and set-ups both in studio and on location. Ideal for digital cameras weighing up to 20 pounds, the ProShot has a steadying ballast weight to offset larger loads. At the heart of the patent pending system is the integral 3.8-pound (1.7kg) Hexweight that is positioned in a variety of configurations to provide just the right amount of mass to balance the camera package. Changing from one mode to the next is quick and intuitive. ProShot can transform into a smartly weighted 4’8” (1.46m) tall Monopod in seconds without tools. The camera is adjusted via the system’s swivel/tilt head, the five telescoping sections are extended, and the Hexweight becomes a weighted foot. 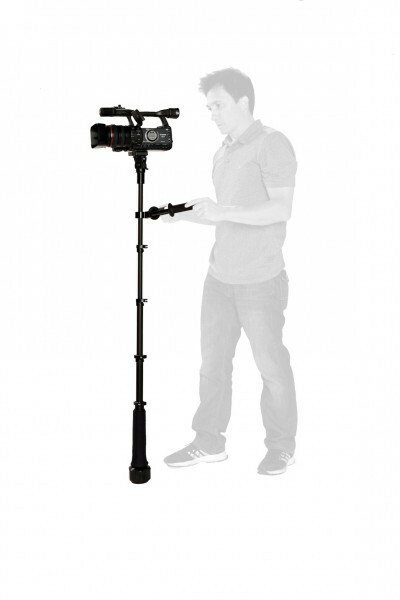 The Monopod’s height can be adjusted with the simple K-Tek clamping system and the weighted foot gives the monopod a stable base without the top heaviness of traditional monopods. In closed position ProShot becomes a handy High-hat by simply setting it down on its weighted base and front handgrips. 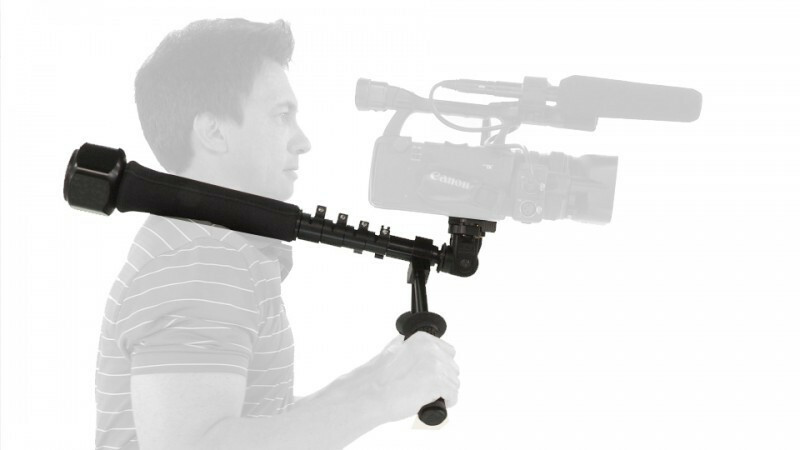 The camera position can be optimized by adjusting the swivel/tilt head and telescoping tubes. While rugged enough for no fuss work in damp conditions or rough terrain, this water resistant support is also compact and lightweight (6.5-lbs/2.9-kg including Hexweight) for easy transport. Each ProShot comes with K-Tek’s own swivel/tilt monopod head (attached with a 3/8” screw) and removable quick release baseplate. To insure compatibility with all industry standard camcorders and DSLRs a ¼” and a 3/8” camera screw is included. A DSLR 15mm rod upgrade kit is also available. ProShot Studio Product Demo from Lee Snijders on Vimeo.